Jason and I plant a garden that seems way too big for two people. 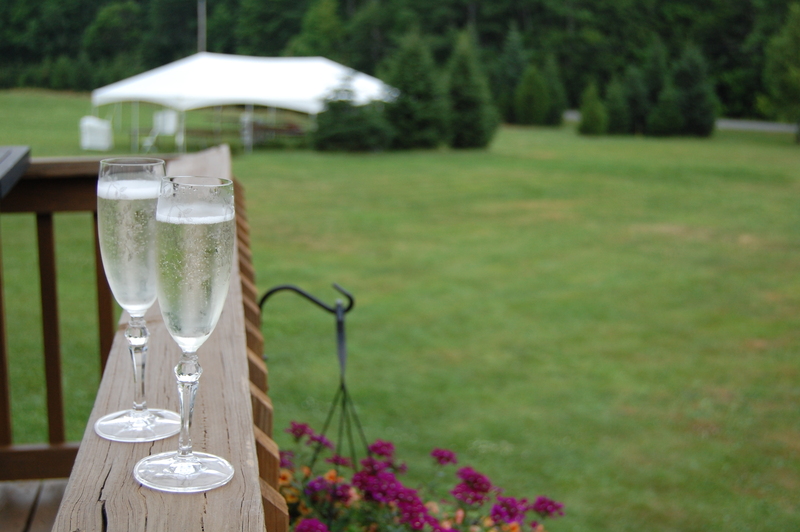 Take a walk through our backyard past our six blueberry plants, herb garden that was once a fire ring and the large garden (50′ x 25′), and when you notice the smaller garden (25’x10′), you might start to wonder what’s going on. 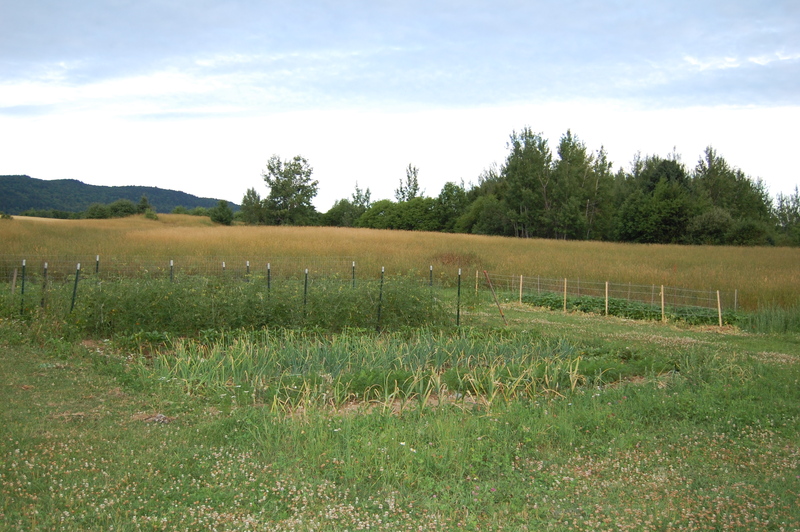 Yesterday’s confession that we grow 5 – 25′ long rows of tomatoes probably only helps reinforce this image. What is my plan in all of this? It’s my goal to buy as few grocery store vegetables (frozen, fresh or otherwise) in the winter. And one of the ways we succeeded at this last year was by putting up a vegetable we both love to eat for dinner: green beans. I waited until the beans were pretty big. Picked them, processed them, put them up… and they were horrible. Stringy. Tough. Generally gross. So my first lesson for you is that if you’re putting up produce, put it up young and fresh. Just because you have more of it does not mean you want to eat it. Below, please find my guide to preserving green beans. Before starting, make sure you have enough space for two cookie sheets in your freezer, as you need to flash freeze beans BEFORE placing them into bags. Step 1: Pick you beans. 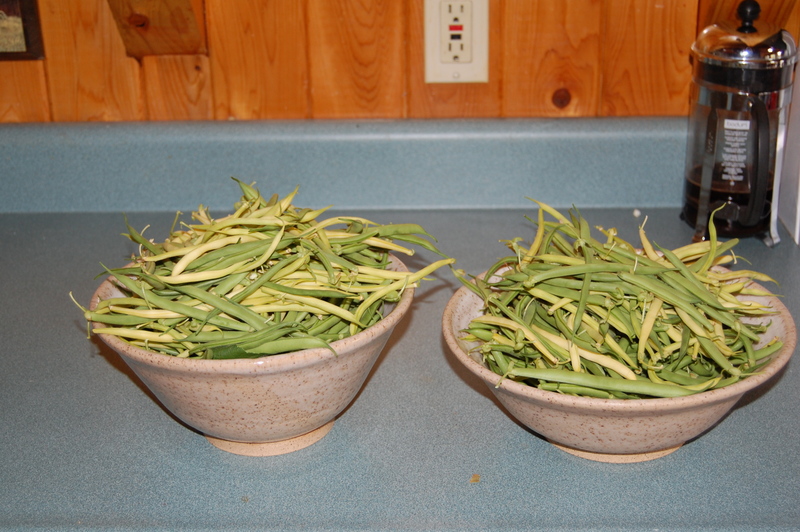 We usually pick tender beans of about 4 inches that have not started to form thick beans inside the pods yet. This is how we prefer to eat them raw, and we’ve had great luck with them frozen. Last year, we grew Tenderette and Soleil varieties from Park Seed, and they’ve now grown beautifully two years in a row! 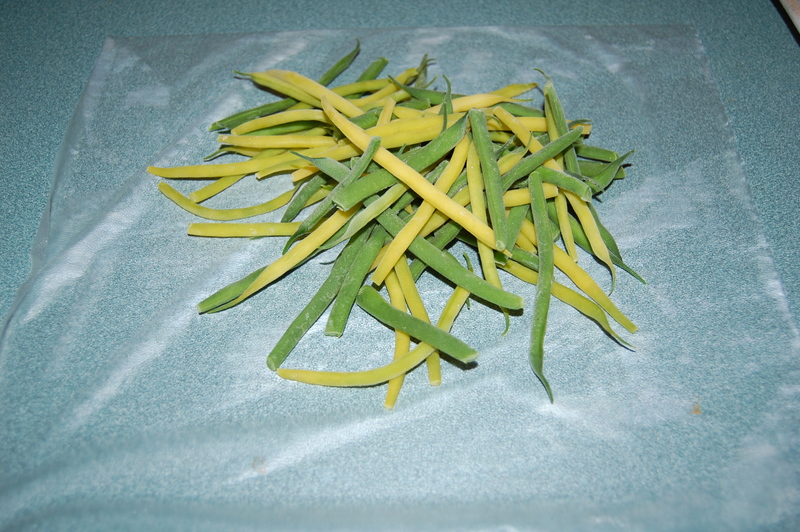 Step 2: Immediately after your beans are picked, bring them inside and remove the caps from each bean (the part that attached the bean to the plant). If your beans are a bit longer, you can break them into segments at this point. A fresh bean should snap easily. 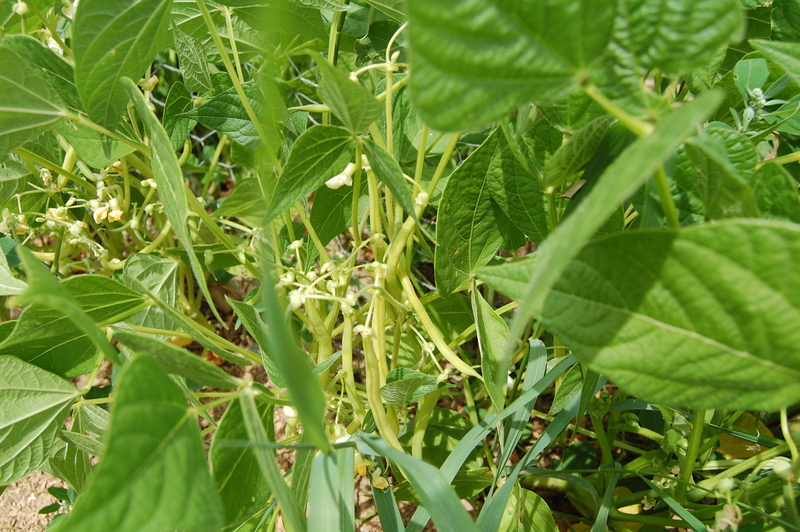 Discard any beans that look like they’ve been munched on by bugs or spotted by disease. 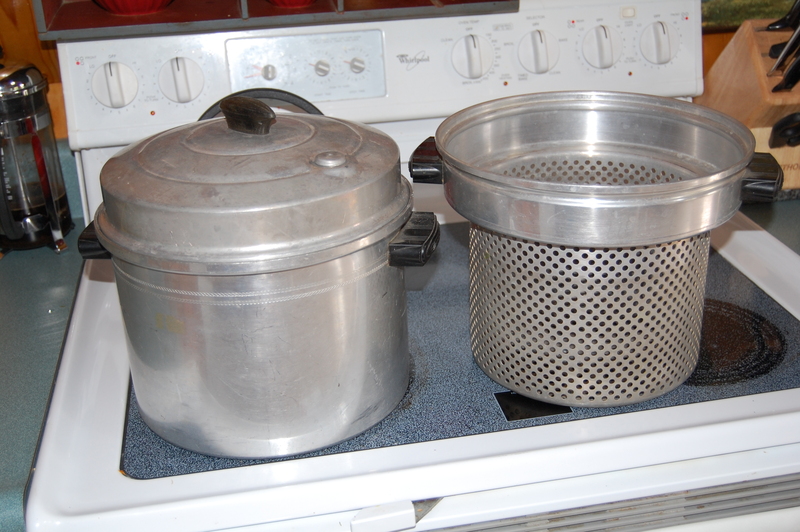 While you are removing the caps on the beans, place a large pot of water with a lid over high heat to boil. We use this crazy old pot that my father in law gave us a few years ago. I’m not sure what it’s initial purpose was (probably canning! 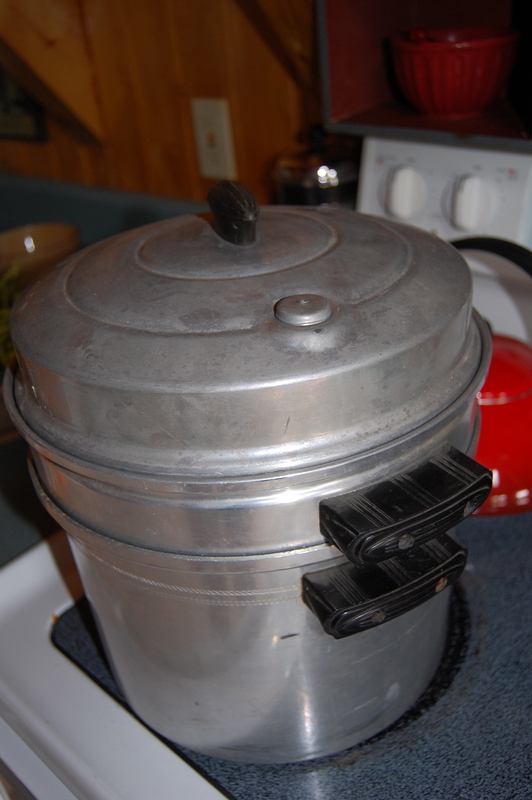 ), but it consists of a large pot, a slotted interior pot and a lid that lets off steam. If you can find one of these at a garage or yard sale, snap it up! Best. Preserving. Pot. Ever. 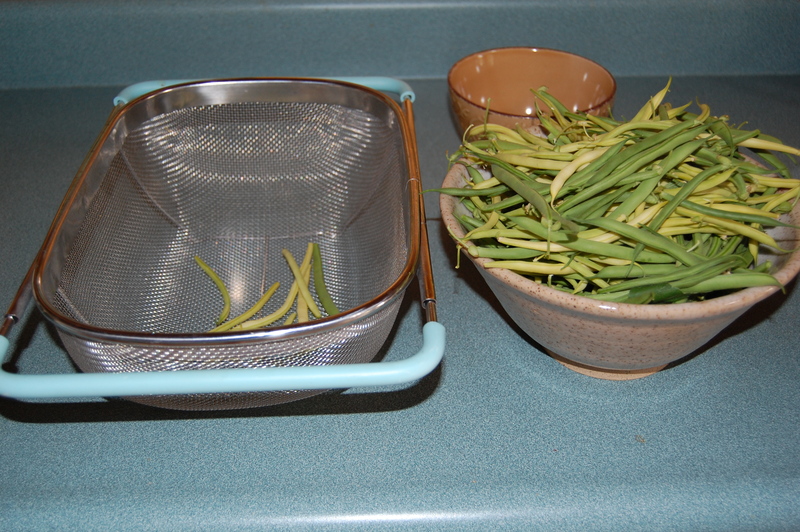 Step 3: Rinse beans under cold water in a colander until clean. This step is particularly important if you’re using pesticides in your garden, which we don’t. That said, it removes dirt, bugs and anything else that might be on your beans. Step 4: In batches that fit your pot, blanch beans for 2 minutes. I use the interior slotted section of my preserving pot for this; however, I’ve also used a large metal sieve before, when preserving peas. 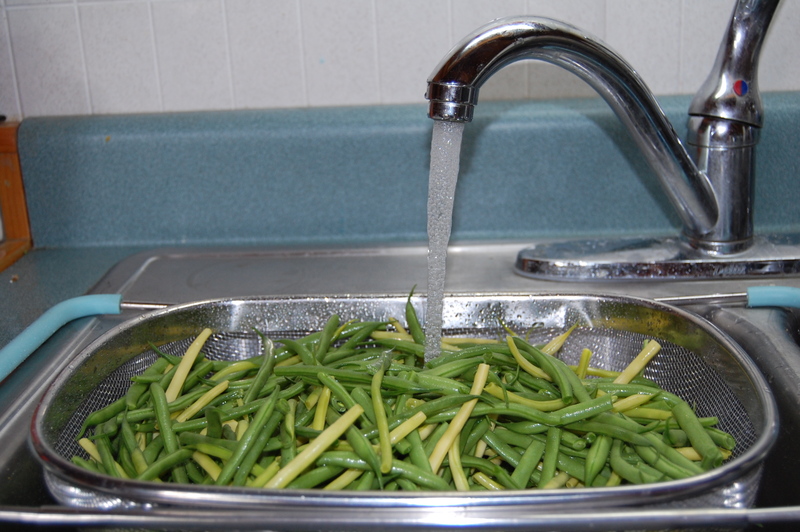 Anything that will let you get the beans into the hot water for two minutes and remove them quickly is perfect. Note: I would not use a plastic colander for this purpose. Step 5: As soon as the beans come out of the hot water, place them immediately in ice cold water to halt the cooking process. Leave in the water 5 – 8 minutes. I don’t usually stress about this time, as long as they’re in there at least five minutes. A bit longer won’t hurt them! 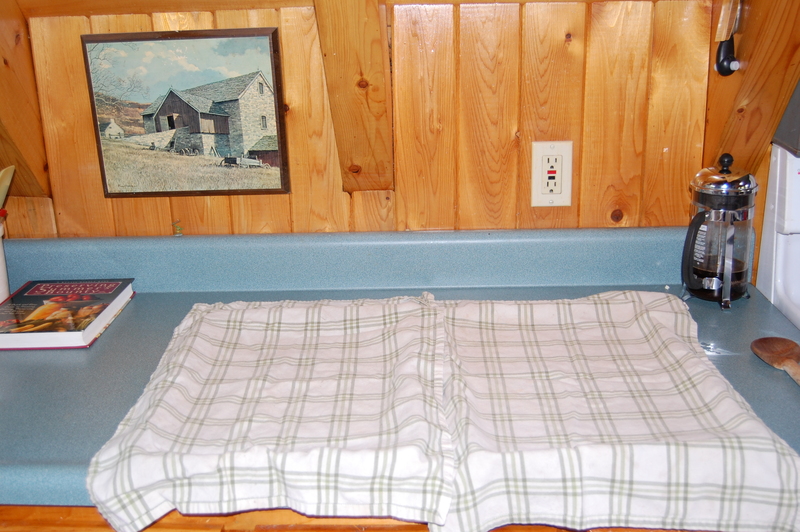 Step 6: Spread your tea towels out onto your cookie sheets. You are going to use these to absorb as much water from the beans as you can before freezing. 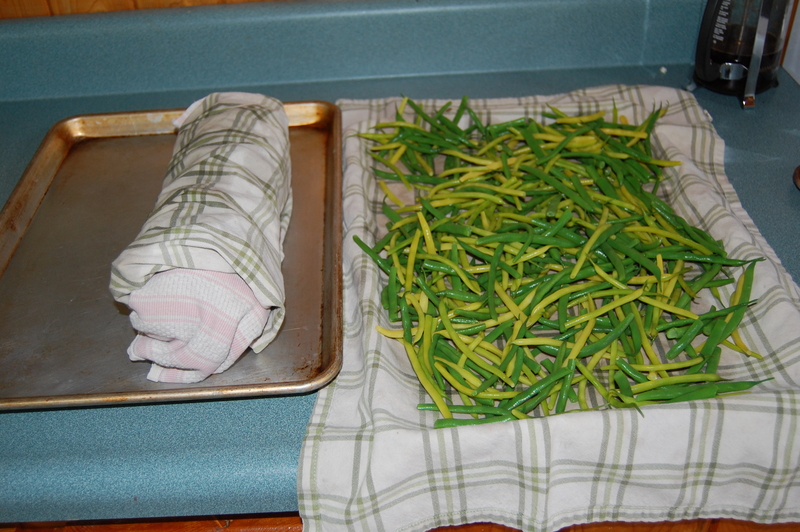 Place the beans in a thin layer onto the tea towel, then roll up like a jelly-roll, tucking the edges in over the beans to keep them from slipping out. 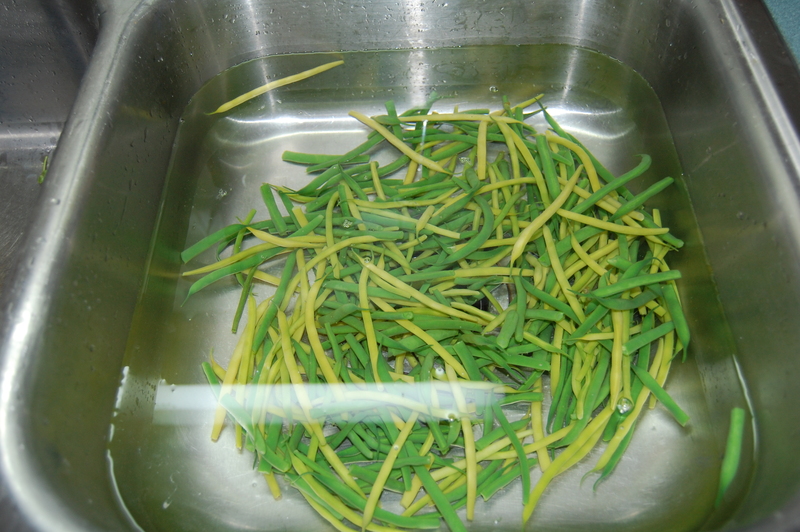 If you have a lot of beans, you can place a second towel over the beans before rolling, to soak up excess water. Remember: too much additional water = freezer burn. 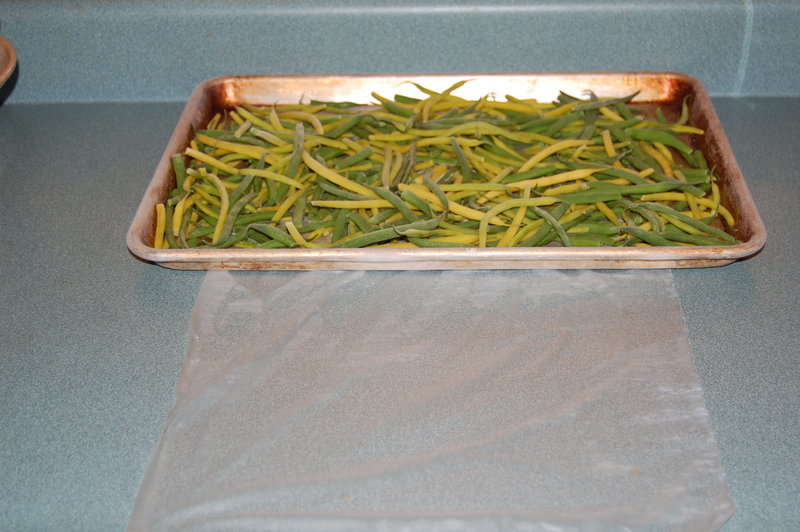 Step 7: Once your beans are dry, remove the towels and leave the beans spread out on you cookie sheet in a thin layer. You’re now going to flash freeze the beans in your freezer. 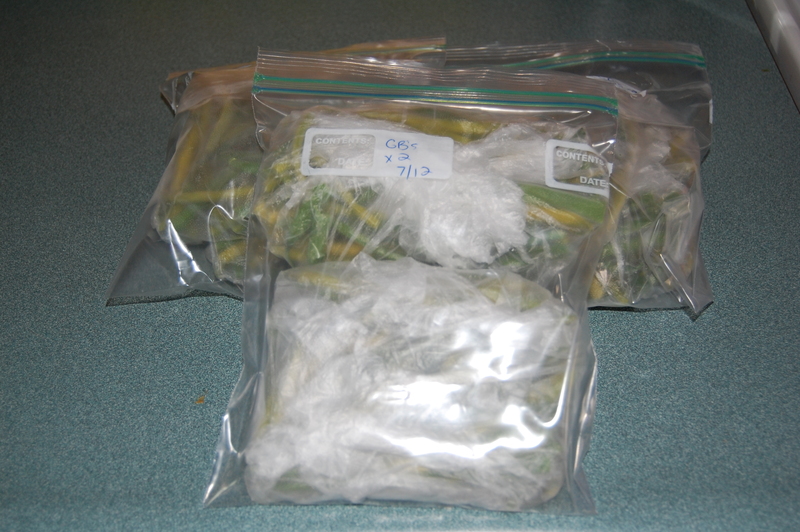 Place the trays in the freezer for 8 – 12 hours to ensure a quick and uniform first freeze. 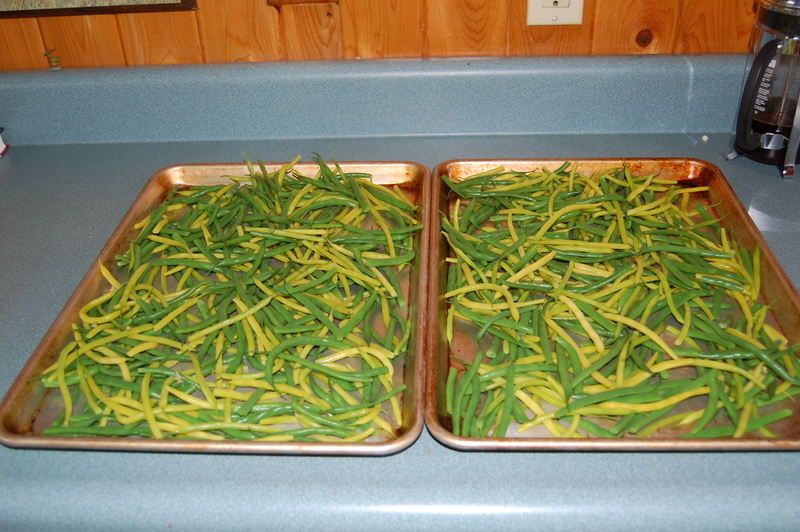 Step 8: Remove one tray of beans from the freezer. Loosen them gently with a spatula and arrange a complete dinner serving for your family onto a sheet of Press and Seal. I usually measure out enough for one meal for Jason and I. Wrap tightly. You will want to work quickly because you don’t want the beans to thaw. 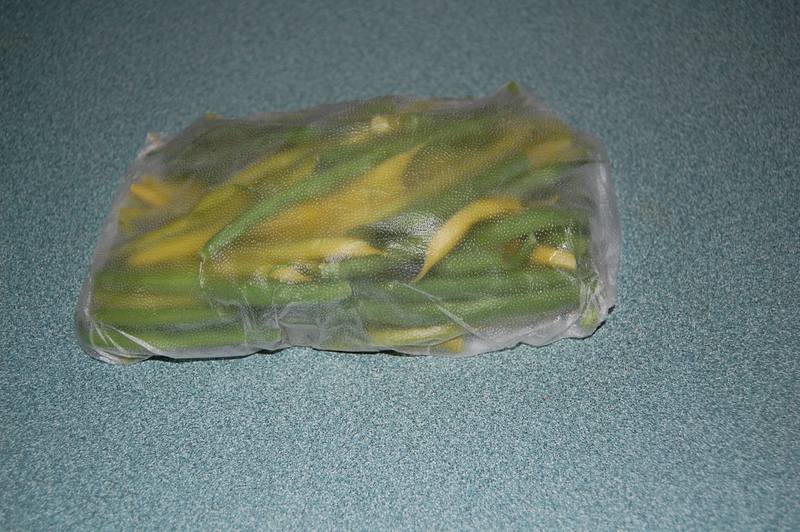 Step 9: Place 3 – 4 servings in each freezer bag. Remove as much air as possible and mark with the date. As soon as a bag is complete, return it to the freezer. To reheat, remove beans directly from the freezer. Unwrap and place either in a microwavable bowl in the microwave for one minute (or until hot) or in a steamer basket over the stove until they’re hot and ready to eat. 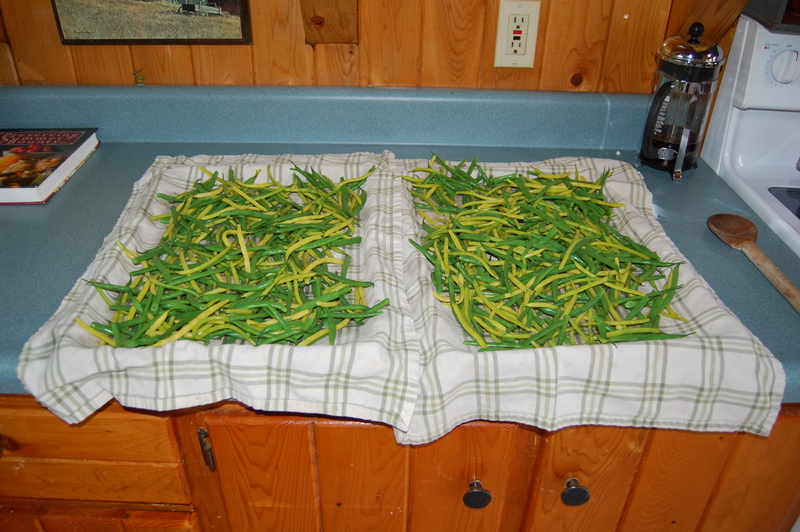 Perfect, garden fresh beans every time! 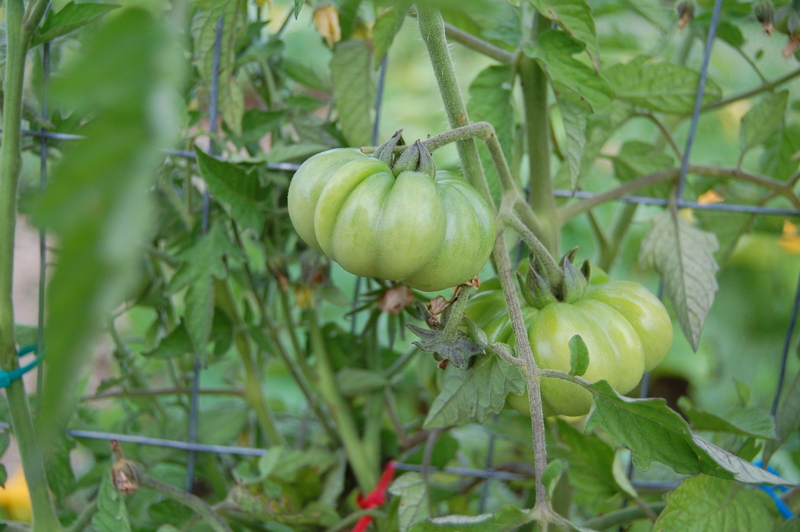 Last summer, we were plagued by heavy rains and blight so bad that we lost more than 75% of our tomato crop. And though we always grow a lot of tomatoes, and 25% of a 60 plant crop was still enough to get us through the winter in pizza sauce (a staple at our house), I spent the last year purchasing crushed tomatoes, tomato paste and tomato sauce from the grocery store in quantities that I wasn’t particularly comfortable with. 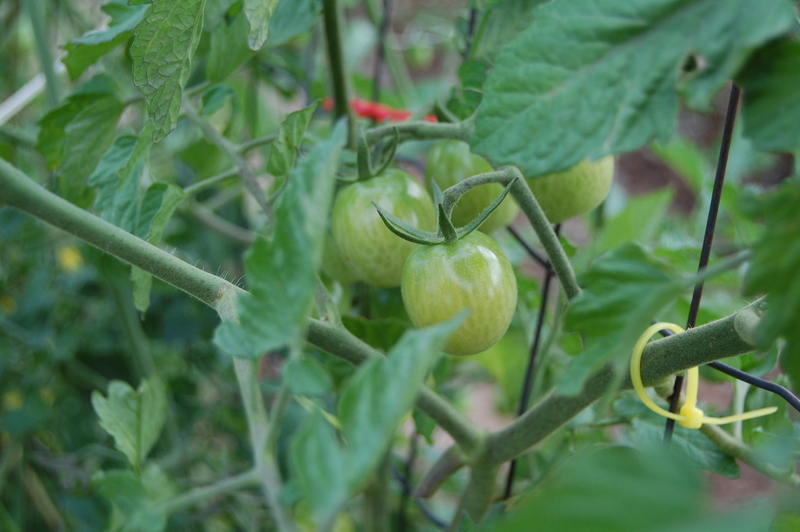 One of the easiest ways for us to be self-reliant is by putting up our own tomato products. While tomatoes aren’t necessarily as easy to grow in the far north as they are in the south, we’ve discovered a few tricks that have helped us with this year’s crop. We usually start big. Tomatoes are a huge part of our diet, and we don’t fool around with them. This year, I planted seventy-two tomato seeds under a growing light about eight weeks before planting, and at this time, we currently have 68 plants thriving in our garden. 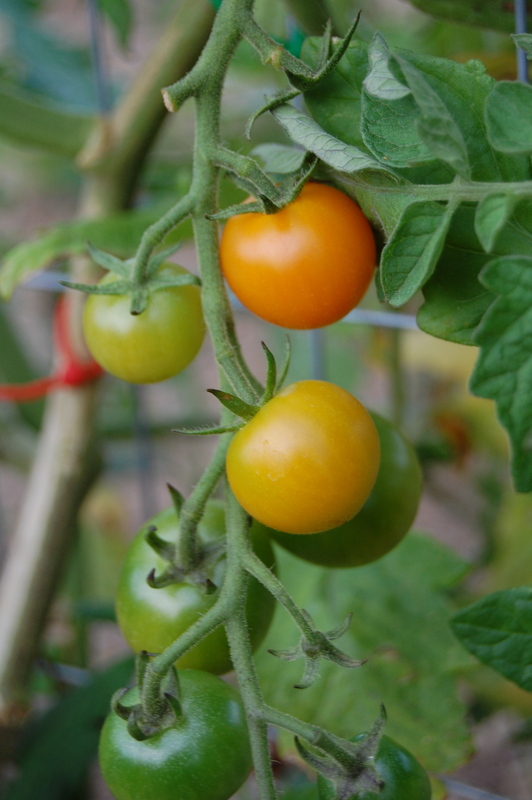 Since we are so far north, and larger tomatoes take more days to develop, we usually grow a mixture of cherry and plum-sized tomatoes (about 70% of our crop) and one larger variety that will thrive some years and really struggle in others. This year’s Constoluto Genovese heirloom variety from Park seed is growing like a weed, despite the fact that the fruit are also ENORMOUS. We’re just hoping that the growing season is long enough that I can bring in the bulk of these beauties. While cherry and plum tomatoes are not your traditional sauce tomatoes, I’ve found that all tomatoes can go into sauce after a whirl through the food processor (skin and seeds intact) and a few hours on the stove top. This flexibility has given me a lot of room to play with different types of tomatoes in my sauce and has made for a lot more variety and better taste. Orange Paruche Hybrid cherry tomatoes ripen almost three weeks before all of our other tomatoes and make a delightfully sweet (and orange!) pizza sauce. If you want to grow this many tomatoes, you need a system. For years, both Jason and I used cages. And cages are great if you want to grow five or six tomatoes. 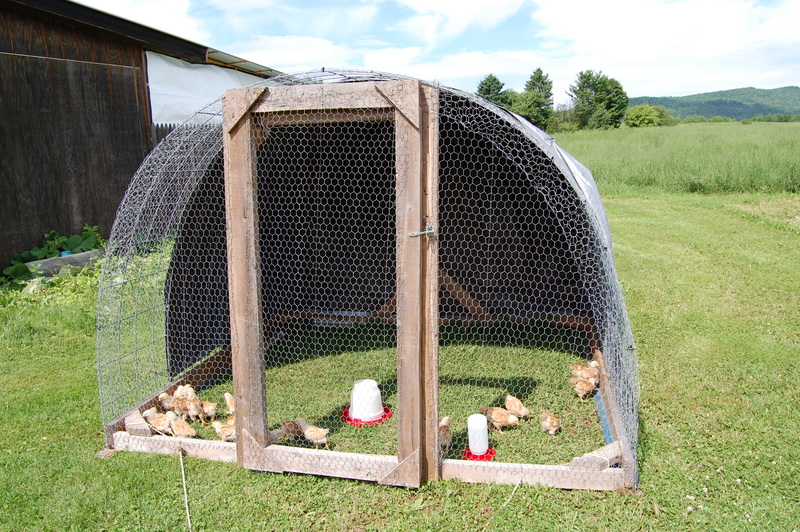 But cages tend toward weakness, plants usually need additional support, and I don’t want to be worried about my crop 24/7. So last year, we started switching over to welded wire fence as a support. I carefully wove the plants through the fencing, and they did okay, but that weaving caused quite a bit of leaf damage and may have later contributed to the blight (since the plants were already a bit stressed. This year, I’m using a mixture of cable ties and string to gently train the plants onto the fences, then marveling as they weave themselves between the wires. The cable ties (smallest I can find) run about $1.99/100 and we’ve gone through about four packages this summer. My only advice is that if a large wind/thunder storm is predicted in your area, try to get out beforehand and secure your plants if you’ve been letting them go a bit too long (they need to be re-secured about once a week in June and once every 2 -3 weeks in July and August with careful monitoring for heavy fruit that might be weighing down the plant). Cable ties secure plants firmly to the wire when they are already in close proximity. 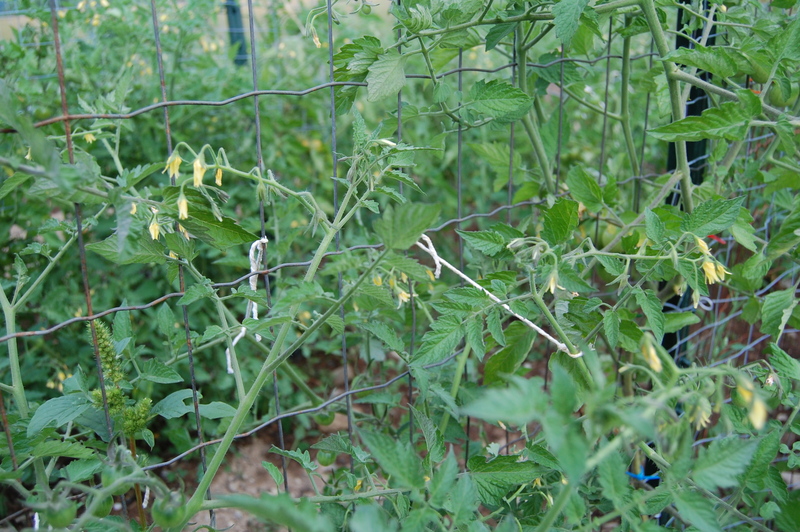 String or twine can be used for added support in situations where plants are too far from the fencing to use cable ties. We just use a basic twine. The added benefits of this system are that it gives us a solid wall between our squash plants and the rest of the garden and it allows us a nice pathway to bring the hose through when we’re watering our beans and peas in the small secondary garden that we put in last year. And while welded wire did have a substantial upfront cost, it was comparable to buying 72 tomato cages and will likely last for years without all of that tomato cage hassle! 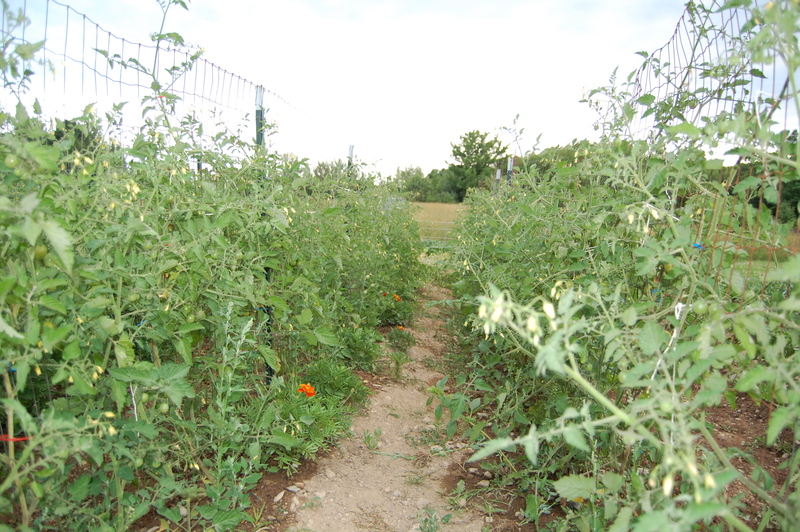 Row between the tomatoes. 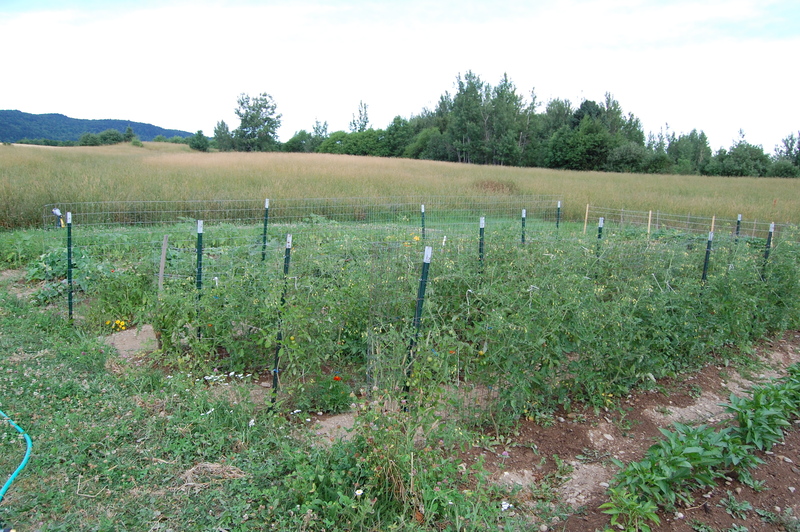 Each row of tomatoes is 25′ long, and this year, we’ve planted five rows of tomatoes. How do you support your tomatoes? 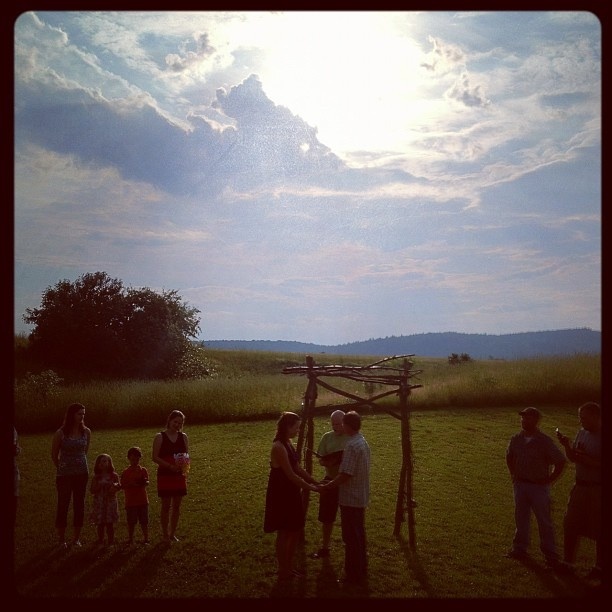 A week ago, in our back field, surrounded by friends and family, Jason & I were married. 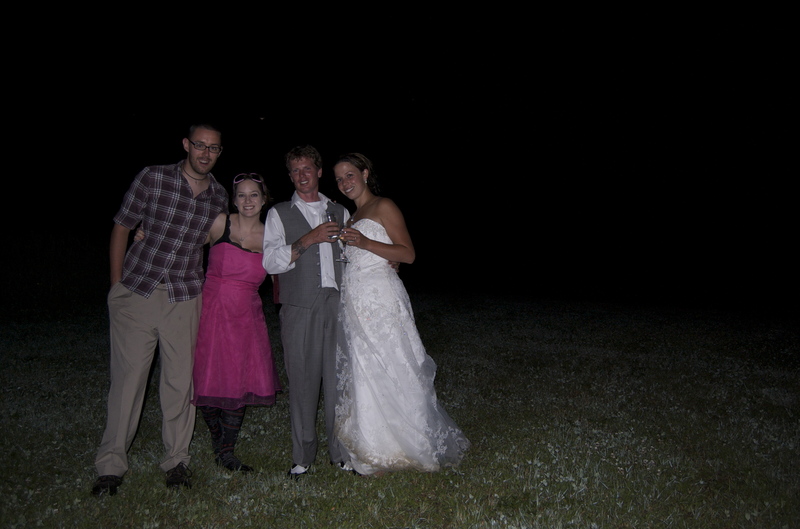 I had visions of blogging my way through the two weeks prior, but life caught up with us. 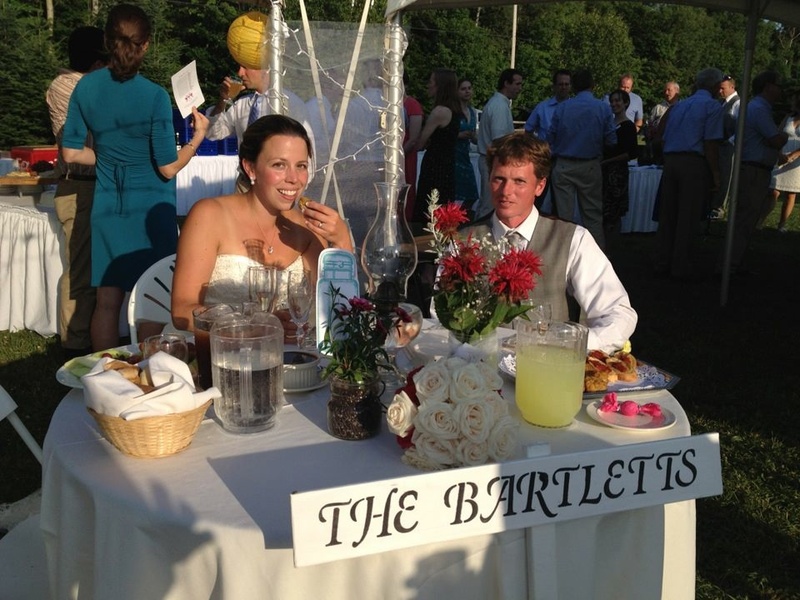 While we’re living proof that it is possible to plan and execute an entire DIY wedding for under $5,000, we’re also an object lesson in the importance of good friends in making that happen. Over the coming weeks, I look forward to sharing with you some tips and tricks we learned along the way (you really can make your own wedding cake! ), as well as a few posts on our glorious and super-relaxing honeymoon on Prince Edward Island, a mecca of local foods and kind strangers. I’m also anticipating several long posts on canning and preserving, as our garden moved on without us in our absence, and a huge part of my silence prior to the wedding had to do with canning strawberry preserves and trying to put up as many of our peas as possible before we walked down the aisle. 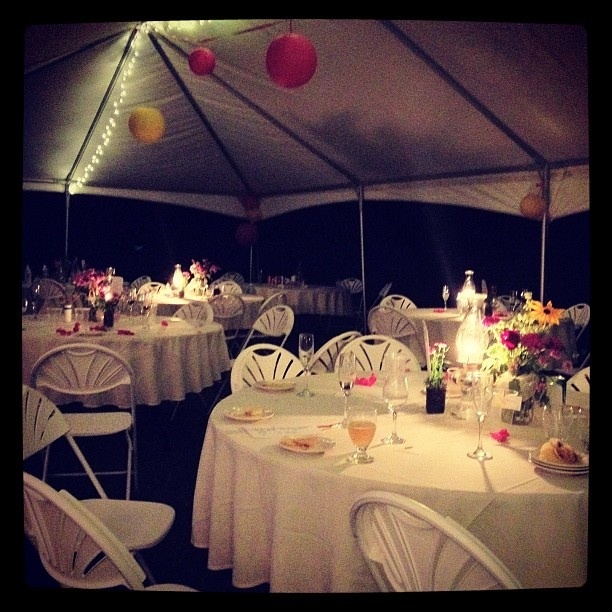 But what I want to leave you with now, before we finish our journey home, is the reassurance that you can have the wedding you want in your own backyard within your budget as long as you have great friends and family and are willing to be a bit creative. 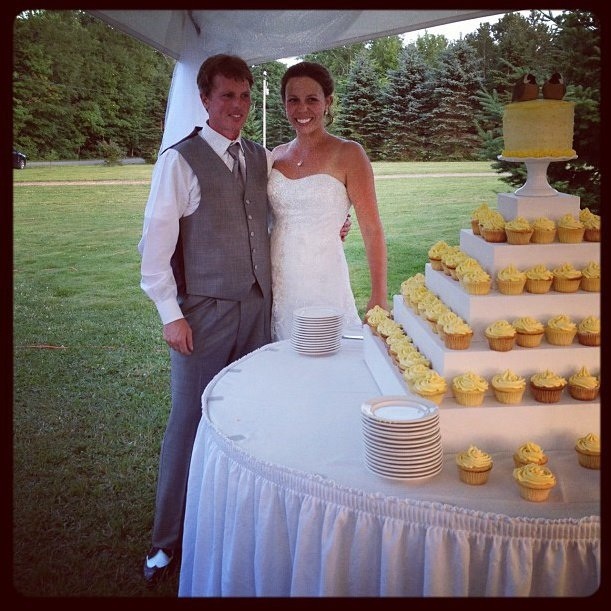 Our homemade wedding cake, complete with a pair of hand-carved wooden chickadee toppers that we purchased during our first long weekend away, together. We’ve been pretty swamped here with wedding things for the last week or so, but I’m looking forward to sharing it all with you in a post later this week. 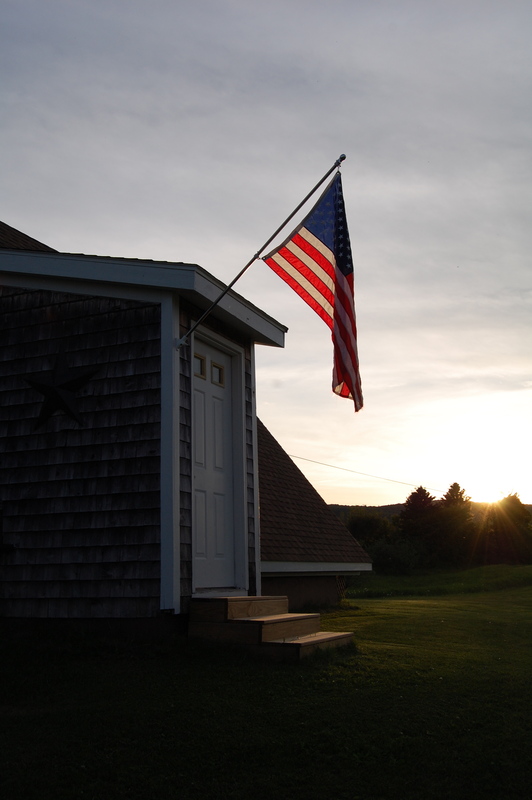 For now, Happy Independence Day!